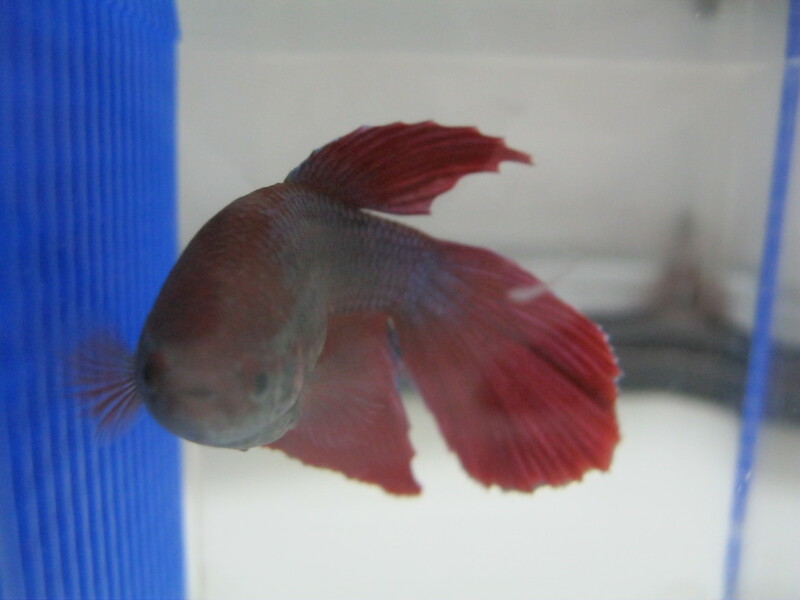 What Is a Self-Sustaining Aquarium? The idea of a completely self-sustaining ecosystem within an aquarium has interested aquarium hobbyists and fish keepers for many years. A self-sustaining aquarium is one where all the inhabitants can survive without the constant care of a person. Nothing goes in; nothing goes out. Ideally the only requirements from the outside would be light and the addition of extra water on occasion. Creating a perfectly self-sustaining ecosystem is an art, requiring checks and balances, a fair understanding of biology, and patience. The first aquarium you try may not be just right, but remember, the outdoors have many levels of ecology at work. The more complex you make your community, the simpler it becomes to maintain; thus it is the complexity that draws the intrigue of many. 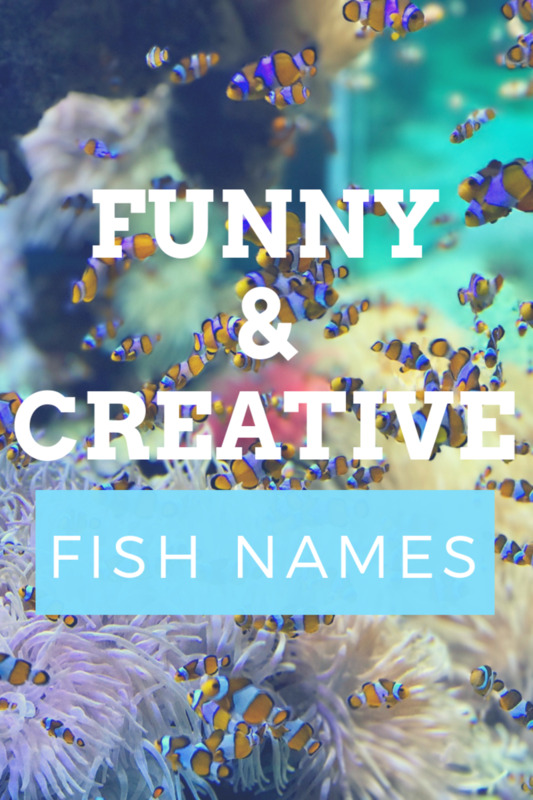 What Do You Want From Your Aquarium? There are many different ways to approach a self-sustaining aquarium, from a small fish bowl to a 200-gallon tank. Each comes with its own challenges and rewards. Overall: a bowl is great for experimenting, but very challenging to keep self-sustaining for very long. Overall, this is probably the best choice for the average hobbyist with only moderate space and a strong interest in developing a sustainable aquarium. Overall, a large aquarium (100 gallons plus) has the best chance of sustainability over a long period of time, but it is so big and heavy that it's just not realistic for many people. 1. You need an aquarium; it could be a bowl, a large jar, a milk jug with the top cut off, a rubbermaid storage box or an aquarium designed specifically for fish, just something that lets light in and holds water. 2. You will need substrate, preferably a few types for maximum ecological diversity; this will include sand, gravel, and medium-sized rocks or river rocks. 5. Objects for decoration or hiding places. These could include, rocks, sticks, clay pots, PVC pipes, plastic plants, or store-bought decorations like a pirate skeleton or a treasure chest. 6. A light source. Overhead or room lighting just won't cut it, and placing your tank or bowl in direct sunlight can result in fish deaths. A fluorescent aquarium light is much better, to ensure the growth of algae and plants as well as to display the beauty of your aquarium. Making your aquarium able to sustain itself isn't as simple as just pouring sand in the bottom, filling it with water, and tossing in a fish. It takes several steps to assure an established food chain and the survival of your aquarium on its own. First you'll want to establish the substrate of your aquarium. I prefer to put in the finer substrates (for example, sand) as the bottom layer and then larger ones (for example pea gravel) on top as the next layer. This will give you a strong rooting base for your plants, and allow air pockets between the gravel for waste to settle, and build up a nutrient layer for your plants. In medium to large aquariums, a substrate depth of 2 inches of sand and 1½-2 inches of pea gravel or other similarly sized coarse substrate should be adequate for optimal plant growth and waste capture. In a smaller bowl or mini-aquarium, an inch of sand and 1/2 inch of coarse substrate should be enough to maintain a plant without taking up too much of the water space. I prefer to use dechlorinating drops because the brand I use (API) also detoxifies heavy metals in the water. The food chain is the most important aspect of a sustainable ecosystem. 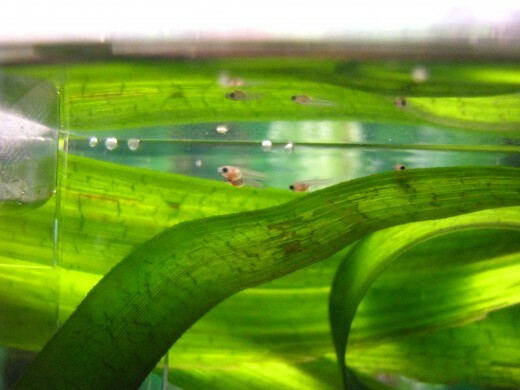 In smaller aquariums the food chain won't reach much complexity beyond an algae-based food source, but in larger setups a variety of species that feed on algae, plants, and even other fish may be incorporated. For a tank's food chain to be successful it has to be put together in the correct order. Each "link" of the chain must be adequate before the next link is introduced. 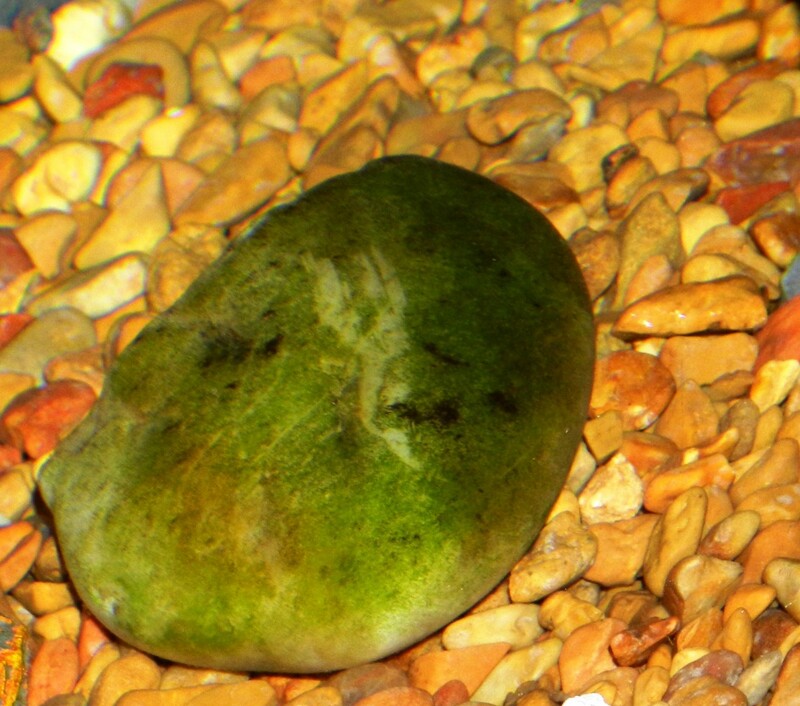 In a basic tank, algae and micro-organisms are going to be the foundation of the food chain. To encourage their growth. you'll need a bright fluorescent light and something to get them started, i like to use a small amount of fish food flakes mixed into the water to start the process. A good way to encourage the growth of algae is to mix some water from an existing fish bowl or aquarium into your new one. The nitrates from the fish waste will become fertilizer for the algae. This brings us to our next step: plants. There is no hope of having a self-sustaining aquarium without plants, because plants use the waste produced by the fish as fertilizer. Not only do plants improve water quality, but also they compete with algae for nitrates, controlling those algal blooms that make your tank a murky green mess. The final step once the plants and algae are established is to introduce the moving parts: the animals. This is really a two-part step, and even a three-part step in larger aquariums. First you'll need to add micro-critters. These can range from something tiny like micro-planarians and daphnia to small pond snails. These will be the base of the food chain for any fish that eat more than just plants or algae. After enough time has passed for these little guys to become established and start reproducing, it is time to add the next link in your food chain. For small fish bowls, I would recommend only herbivorous species like freshwater shrimp, because there isn't enough space for adequate populations of any higher levels in the food chain to thrive. For any size aquarium I would recommend any of the freshwater shrimp species; ghost and red cherry shrimp are the hardiest and probably least expensive. For a larger aquarium you can add some variety to the food chain. I would recommend starting slowly with predator species, and only adding more as the populations of food organisms grow. The two species I prefer for the next level are guppies and Endler's livebearers; these two fish are relatively small and reproduce very quickly, which makes them a great candidate as a diet for other species of fish. 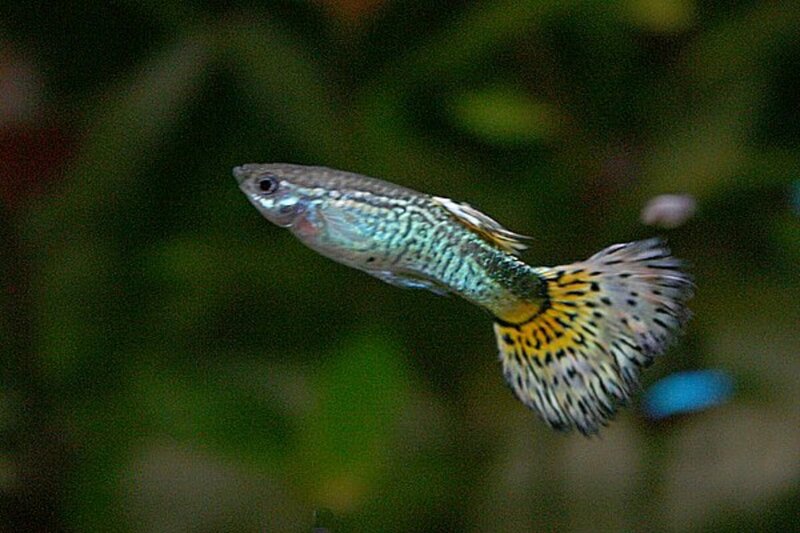 Guppies and Endler's livebearers can be the top of the food chain in smaller aquariums in the 7.5 to 15-gallon range; they feed on the egg sacs of snails and on newborn shrimp, and will sometimes pick at plants. The young of these species are very small and feed on micro-organisms, particles of algae suspended in the water, or other bits of food they find around the aquarium. 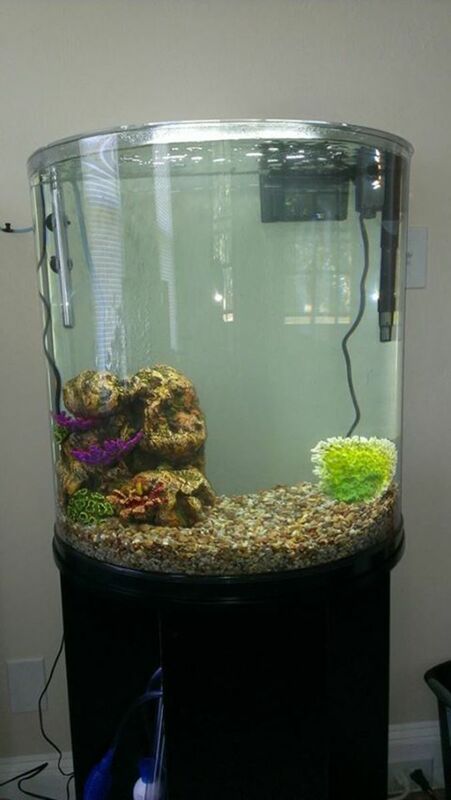 After this point, if you have a larger aquarium, it is up to you what you choose to add to your aquarium based on what you think may be needed. It really is a balance of science. Creating a self-sustaining ecosystem within an aquarium takes a lot of patience; it involves lots of small manipulations to create just the right balance. Here are some possible solutions to some problems you may encounter. Solution: There are a few options you can try. For very cloudy or very green water you may want to try all of the following. Try adding Daphnia. There are three main types (moina, magna, and pulex) with different sizes and different characteristics; you'll have to research on your own to find out which is right for your ecosystem. 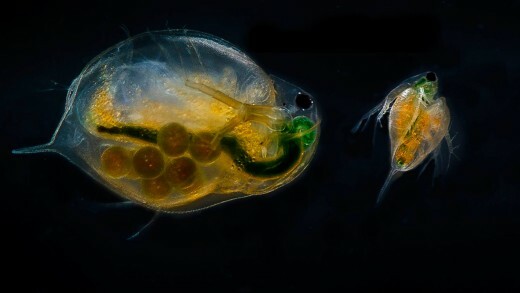 Daphnia feed on algae and micro-organisms floating in the water and reproduce at a high rate. They should clear the water fairly quickly. Try adding more plants. Plants often compete with algae for nutrients in the water, and, as more efficient organisms, typically beat the algae out. Be sure your aquarium isn't overpopulated. Blooms of algae can be caused by a surplus of nitrates in the water, created by fish waste. If your food chain is out of balance and one link is too large, you'll need to cut it down to reach equilibrium. Solution: It could just be the mating behavior of the species, but there is a chance that there isn't enough for the fish to eat. 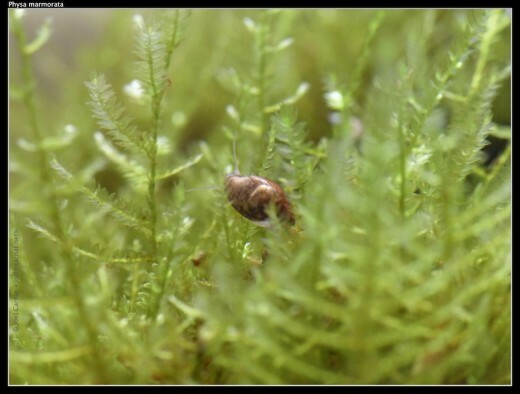 Try adding in more snails, shrimp, daphnia, or other small organisms, and feed the fish commercial food for a few weeks until the new additions have had time to establish a population that can handle the predation. Be sure your populations higher up the food chain haven't reached excessive numbers; this could put undue strain on the lesser organisms and keep them from reaching sustainable numbers. Solution: Sometimes you'll just have to scrape it off yourself, but snails and shrimp put a dent in it, and an algae-eating fish like Plecostomus helps keep down the algae growing on aquarium surfaces. Note: removing the light source and keeping the aquarium in complete darkness for several days can greatly reduce any sort of algae growth, but keep in mind, it may reduce it too much and adversely affect other organisms. As you're probably beginning to realize it is all about balancing the different aspects of the aquarium to achieve perfect harmony. Don't be afraid to try new additions, even if you have to give supplemental food at times. 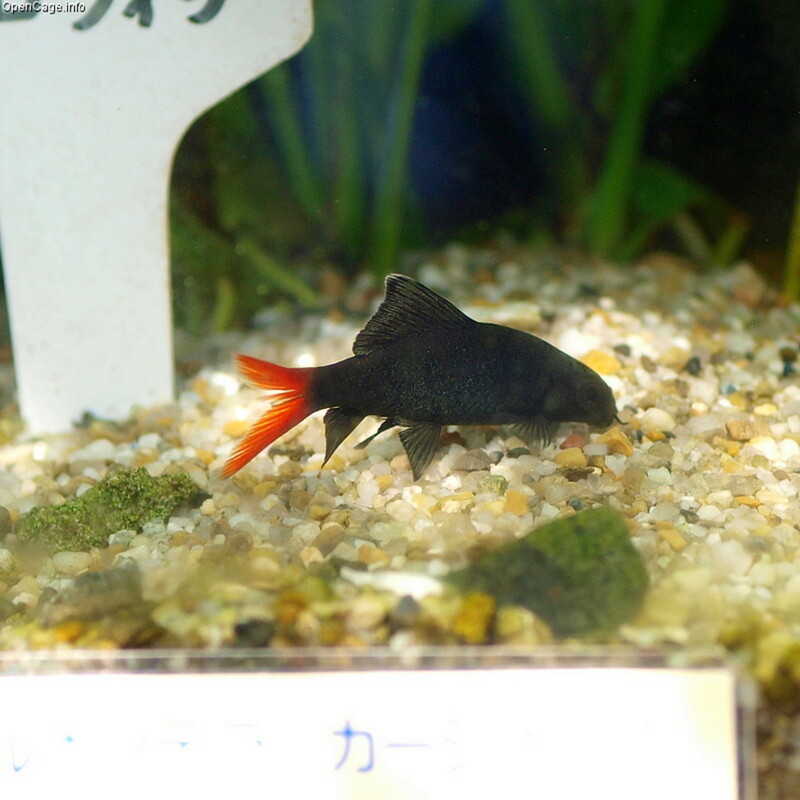 Your aquarium can still grow to be self-sustaining. When keeping any aquarium fish or plant species, please remember to never release them into the wild. Do not allow non-native species to get into any water sources. 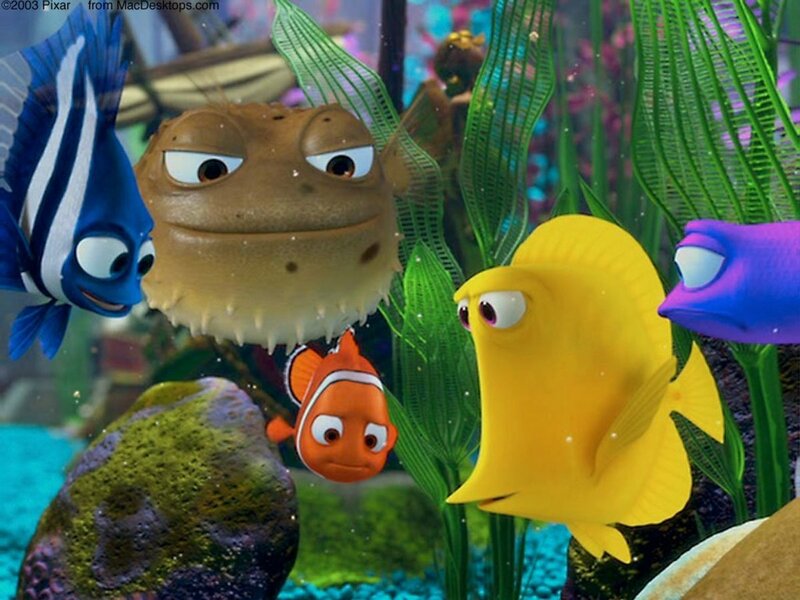 Part of keeping fish is being responsible and maintaining balance. By managing your fish and plants appropriately and keeping them out of the wild, you're doing your part in keeping your local ecosystems running the way they're supposed to.